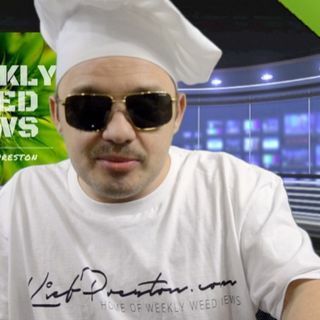 Welcome to Weekly Weed News 2.0 the Podcast with Kief Preston, where I bring you the week’s most important news about weed, medical marijuana, recreational marijuana, cannabis legalization and anything else to do with the good herb – all while smoking on some good! This show was created to raise awareness about cannabis-related issues and motivate people to do something to help ... See More the movement and make marijuana legalization a reality as soon as possible. There are so many people we can help and there’s so much money to be made, not to mention all the people locked up that shouldn’t be. 》》》FOLLOW and LIKE the Weekly Weed News 2.0 Podcast on Spreaker: bit.ly/2HjLf99 or on Itunes, Stitcher, Soundcloud, iHeartRadio AND nOw on Spotify!